Sweet potatoes and schnitzel cordon bleu? It’s a big day, kids! Not only is today the day that I reveal to you the official first recipe of Feeding Farley, today appears to be the true first day of fall to me. It’s nearly blustering, and the sky has been fading from sunny to grey all day, and rain clouds visited us mid-morning—PERFECT for our reading of Poe in my second period class today! It’s also the first football-game and competition-free weekend for my band director husband, so we are celebrating our ‘couples-only weekend’ (as we call them) by having an autumn dinner at home. NOTE: Feel FREE to substitute chicken for the veal; just be sure to pound it to a nice, flat thin cutlet—or buy the chicken scaloppini or “thin cuts” from the butcher’s case. 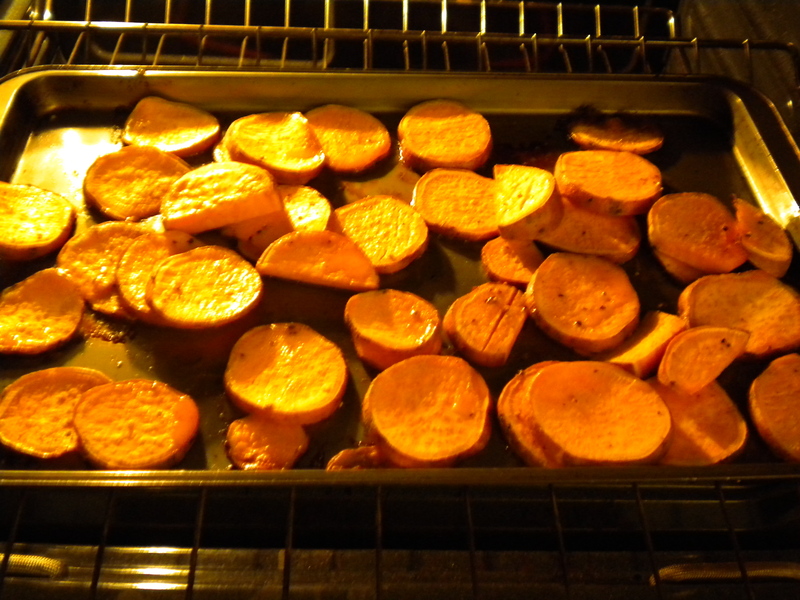 OTHER NOTE: Of these two recipes, I would definitely say that that sweet potatoes are more of a home run. 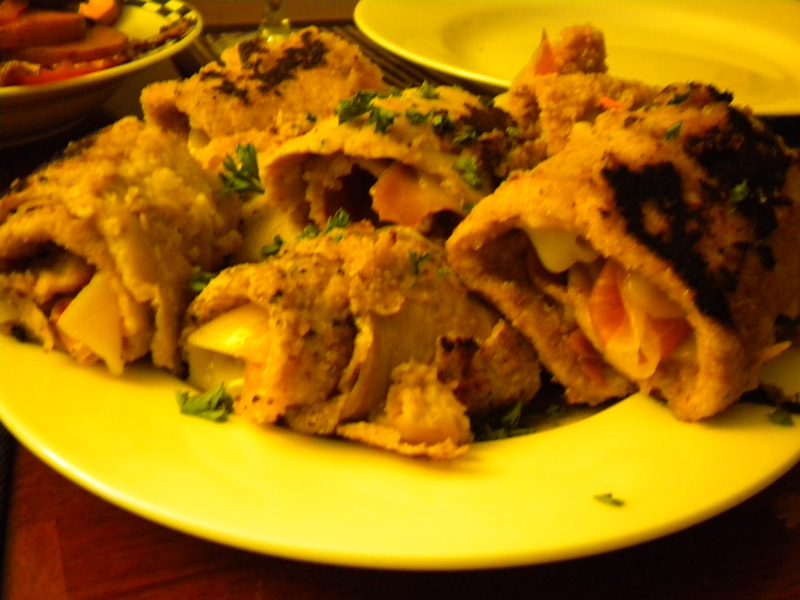 I am still developing the Italian schnitzel cordon bleu, but figure I would share both since I made both! 1–Preheat oven to 400 degrees and grease/Pam a cookie sheet/roasting pan/whatever you got. 2–Scrub two large momma sweet potatoes and remove top and bottom root parts. Slice into thin rounds. Spread out on cookie sheet/roasting pan/whatever you got. 4–Bake at 400 degrees for 25-30 minutes, or until fork tender. 1–Take 1 pound of veal scalloppini, or cutlets pounded very thinly. 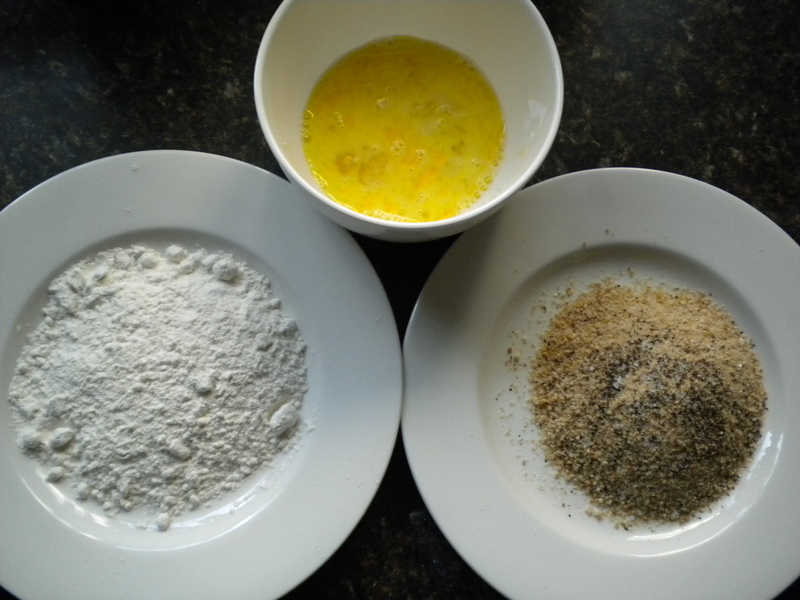 2–Set out three plates: one with 1 1/2 cups flour, one with two eggs beaten with a splash of milk, and one with about 2 cups bread crumbs seasoned with salt and pepper. Dredge each slice of veal first in flour, then the egg mixture, then the crumbs. Set aside. 3–In a medium-size pan over medium-high heat, add 2 TB of extra virgin olive oil. Add the veal, cooking 1-1 1/2 minutes on each side. Remove from pan. 4–Time to deglaze!! Add 1 cup dry white wine/chicken broth and 2 TB lemon juice to hot pan. (I also like to add a sprinkle of ground sage into the mix sometimes.) Turn heat to high, and reduce to about 1/2 cup. Set aside. Place your veal in a baking dish/cookie sheet/whatever you got. 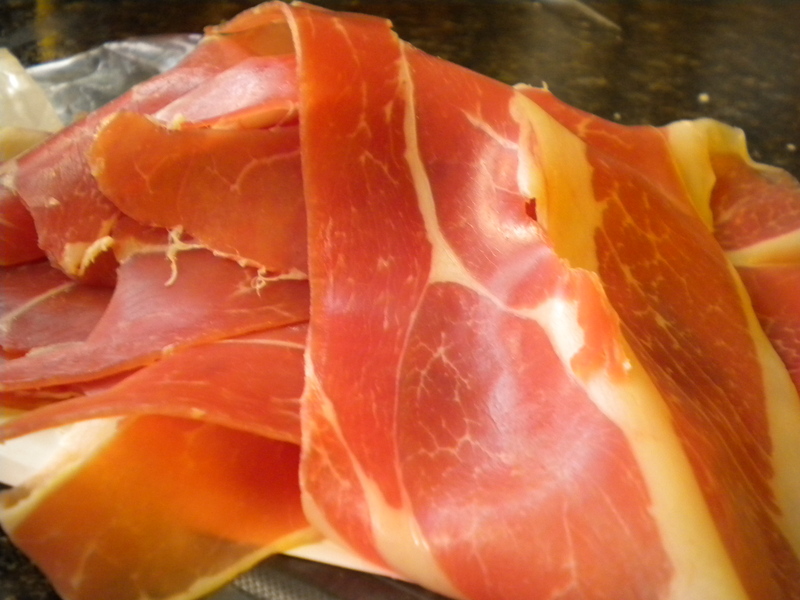 Place on top of each piece of veal a slice of prosciutto and a slice of provolone cheese. Bake until the cheese is melted and gooey goodness. 6–Platter up, pour wine reduction over the veal, and sprinkle with fresh parsley. Mmm mmm yummness. Whichever method you go with, you are sure to enjoy a satisying meal! Yay Sara! So glad you liked them. They are pretty simple but so yummy. Thanks for stopping by! This made me so ridiculously hungry… I wish I could cook! Next Next post: Apple Valley Harvest mmm mmm GOODNESS!